Created for artists and photographers, this elegant design template allows you to quickly post your images into your own website. Presented in a black and grey neutral colour scheme, the overall design is deliberately simple and stylish, to ensure your uploaded images look striking and vibrant. 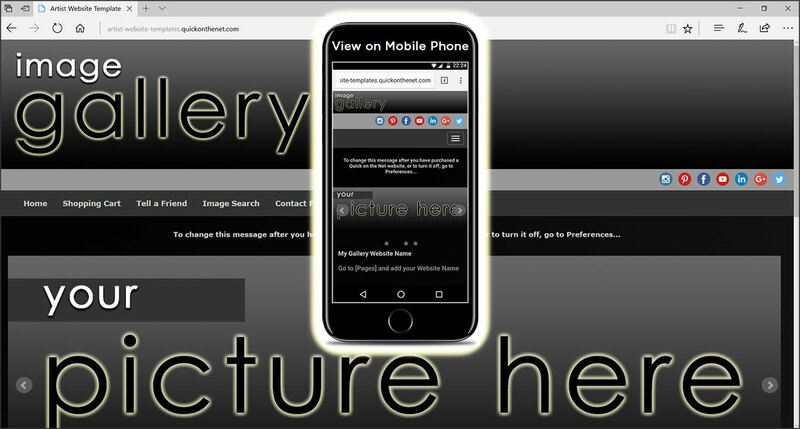 It contains 4 separate image galleries and the thumbnail images are automatically created for you whenever you upload a gallery picture. Sign-up to PayPal for FREE and you can add a PayPal Shopping Cart to your web page and also place PayPal payment buttons alongside your art gallery images.